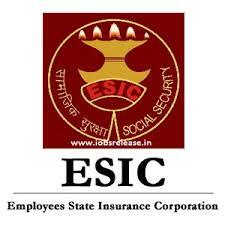 ESIC Karnataka Jobs Recruitment Notification 2018.Employees State Insurance Corporation, Karnataka inviting applications for the positions of different posts in ESIC Hospital, ESIC Medical College, Dental colleges and nursing colleges. Deputy Librarian, Hostel warden, Library attendant, staff nurse, lab technician etc jobs.Interested and Eligible candidates can apply for the positions. Number of posts to be filled in ESIC Karnataka is 269. Post wise vacancy details are given below. Candidates along with all essential documents may attend the ESIC Karnataka Recruitment on 03rd, 04th, 05th, 08th, 09th, 10th & 11th October 2018. Dean, ESIC Medical College, Kalaburgi.